← What is your goal today? 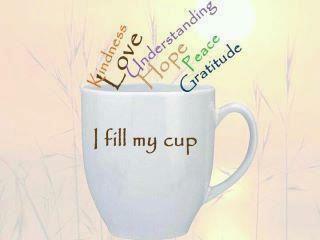 A Cup full of Gratitude! Today my cup is filled with gratitude for life! And for surprises! I restarted my real estate career (I had taken some time off for the last 3 years) and before I was even out of referral I had two new clients! Now…they are not ready to list their homes yet, but it was nice to get busy right away! Even before I was technically supposed to! Then over the weekend I found out one of my non fiction stories is going to be published! Well, that was nice!! I hope YOU are having a gratitude filled day too! This entry was tagged author, business, gratitude, indiana real estate, love, non fiction, published author, real estate career, realtor, writer. Bookmark the permalink.